Casino destinations are safe, group-friendly and cost-effective. Meeting experts claim casinos offer some inherent budget-saving opportunities for the savvy. Attractions are usually within walking distance to gaming spots so you don’t need money for shuttling attendees. 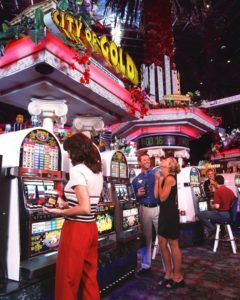 Booking post-dinner entertainment is unnecessary because attendees would much rather see a show or hit the slot machines. Some casinos sell food at a loss to keep visitors near the slot machines. Ready to contact the venue? 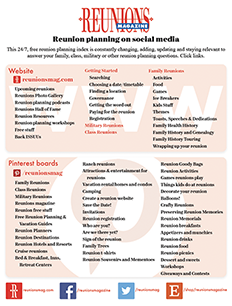 What time of year were you looking to hold your reunion? If you’ve gotten together before, where did you meet and how many people attended? What activities are most important to you and your reunion members? Sightseeing at historical attractions? Going to the beach? Going shopping? Riding roller coasters? Casino gambling? What type of accommodations are you looking for? A four-diamond hotel or a campground? A chain hotel with suites that caters to reunions, or a one-of-a-kind boutique property? How much are you expecting to pay for rooms? What sort of restaurants will appeal to everyone? Will your attendees be flying to the destination? Driving? Taking the train? Do many (or all) of them live locally? A casino party can be a fun fundraiser! Solicit volunteers to organize between or at reunion activities to help pay ongoing expenses. These activities could include a casino night, theater party, style show, progressive meal or party. A casino night requires a rented hall or room, games and equipment; recruit volunteer dealers. Volunteers can negotiate group rates, food prices, transportation and tickets. Then mark-up the price and add the difference to your reunion account. 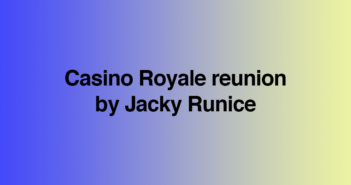 If the activity is something you know your friends or others not related to your reunion might enjoy, invite them to join the fun … and they can help pay for your reunion.